respected practices in the United States representing whistleblowers in qui tam lawsuits under both the federal and state False Claims Acts. For more than 35 years, our attorneys and partnered co-counsel offices have fought on behalf of qui tam whistleblowers across the United States. At Stephen Danz & Associates, our team of attorneys counsel-whistleblowers who wish to pursue false claims in coordination with the Department of Justice for False Claims Act violations, Securities and Exchange Commission Whistleblower Program for securities law violations, the Commodity Futures Trading Commission for false and misleading claims, and the IRS Whistleblower Office for tax fraud or underpayments. The Federal False Claims Act (“FCA”) is one of the government’s primary tools in combatting fraud and recovering billions of tax-payer dollars. Our attorneys advise employee and contractor whistleblowers on the myriad of FCA-related statutes to uncover fraud against the government. 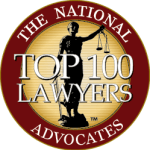 We pride ourselves on patiently and attentively working with you, the whistleblowers, or “Qui Tam” Relators, who bring the claim on behalf of the government and are entitled to share in the government’s recuperated amount. Our firm also routinely co-counsel with many of the nation’s Qui Tam firms in representing FCA whistleblowers. The violators – companies or individuals who made the false claims to the government or retained the government’s overpayments – may be liable to three times the government’s damages plus civil penalties for each proven false claim. When seeking the advice of a knowledgeable and experienced attorney, please consider past results. In our Why Choose Our Firm page, please review the many cases our attorneys have been involved with and produced exceptional results. You may also call us at (877) 789-9707 or complete the online form at www.FederalFalseClaimsAttorneys.com/contact-us for a complimentary consultation to discuss your possible whistleblower claim, or if you suffered retaliation based on your reporting of unlawful acts at your workplace. When you contact our office, you can be assured that our attorneys will dedicate the appropriate time to listen to your concerns and navigate the whistleblower confidentially throughout the process. In addition, our attorneys are well-versed in anti-retaliation protection laws and therefore will appropriately advise you on retaliation whether the government intervenes or declines to intervene. Even if the whistleblower’s claims are unfounded, our attorneys may still find that the company was in violation of anti-retaliation provisions. Having decades of experience and resources creates the breadth that is needed for both maximizing the use of the whistleblower reward programs and knowing when and how to use whistleblower anti-retaliation protections. Whistleblower rewards programs incentivize whistleblowers to report violations of government laws. Such reports must be meticulously made and the appropriate amount of detail must be supplied to ensure the strongest case is brought to the government. The myriad of laws that our attorneys focus on include Medicare, Medicaid (or Medi-Cal in California), False Claims Act (“FCA”) and its Anti-Retaliation Provision 3730(h), Sarbanes-Oxley Act (“SOX”) and its Anti-Retaliation Section 806, Dodd-Frank Wall Street Reform and Consumer Protection Act (“Dodd-Frank”) (Pub. L. No. 111-203, 124 Stat. 1376 (2010)), Internal Revenue Code (as enforced through the Internal Revenue Service’s Whistleblower Office Informant Claims Program), Consumer Financial Protection Act (“CFPA”), Occupational Safety and Health Administration (“OSHA”) (as enforced by the OSHA Whistleblower Protection Program, National Defense Authorization Act (sections 827 and 828 whistleblower protections), Whistleblower Protection Act (“WPA”), California False Claims Act, and California’s Private Attorney General Act (“PAGA”). Examples of our recent recoveries are included in our Why Choose Our Firm page. Our firm is routinely retained by other leading qui tam attorneys and law firms to represent whistleblowers who have experienced retaliation. There are shortened time-periods for retaliation claims (such as three years) instead of the longer six years for FCA cases. Therefore, prompt legal advice is critical! Contact us to confidently discuss your case. Why Stephen Danz & Associates? Our roster of attorneys has decades of combined legal experience. This experience provides our firm with the seasoned legal judgment confidently relied upon by employees throughout the state of California when they need help with difficult employment-related disputes. Individually, attorney Danz holds more than three decades of experience. As the primary attorney in every case we handle, he ensures that his vision permeates the entire firm. Examples of our recent recoveries are included in our Why Choose Our Firm page. Our firm is routinely retained by other leading qui tam attorneys and law firms to represent their clients with regard to their individual retaliation claims. There are different rules and time periods for retaliation claims and these must be considered. Contact us to confidently discuss your case. Our firm only works with a contingency fee. We have endlessly battled for whistleblowers for decades and our practice has grown to one of the leading whistleblower law firms in the state of California. Our firm has acquired our clients half a billion dollars in settlements. Our attorneys and co-counsel will represent you wherever you are in the US. We will review your case free of charge with no obligations. We assign two attorneys for each case, Stephen Danz ais the senior attorney. Our Attorneys Are Based in Washington D.C.